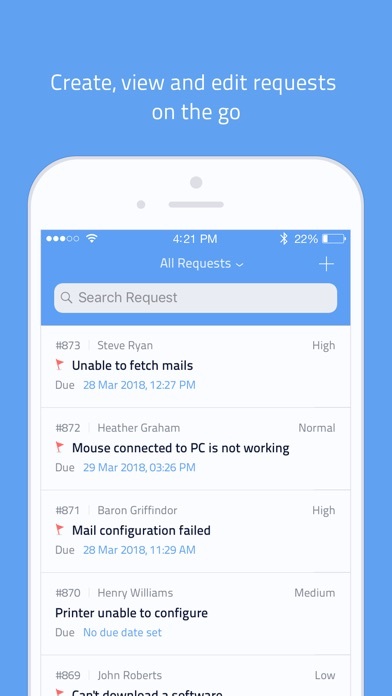 ManageEngine ServiceDesk Plus (Cloud) iPhone app lets your technicians create, access and resolve requests from any place, anytime. 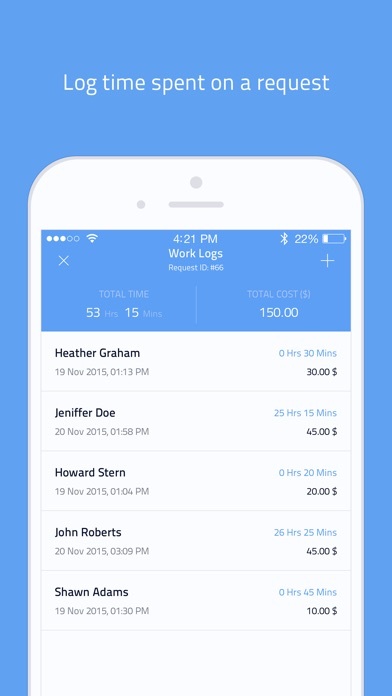 This app reduces the response and resolution time of a technician dramatically, increasing the efficiency of your help desk team. The app, designed particularly for iPhone, gives you better user experience. ManageEngine ServiceDesk Plus (Cloud) integrates your help desk requests and assets to help you manage your IT effectively. 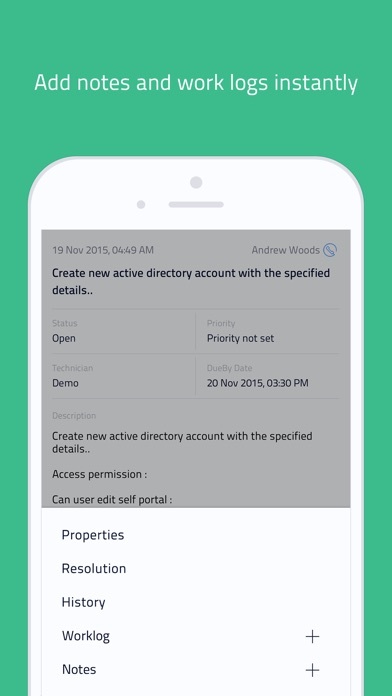 App features: Filter requests based on criteria such as unassigned, pending, open etc. View, create, edit and delete requests. Perform actions (pick up, assign, close, reply) for requests. 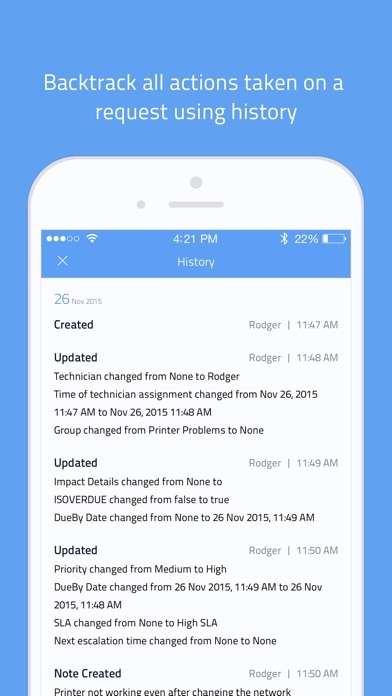 Work log and resolutions can be added/modified for each request. Starting on April 2, 2019, I could no longer log into the app. After nearly exceeding my login limit, the login attempts simply spin endlessly. When it works it is a great app for managing my help desk. However the app constantly crashes. I think the new update has caused it to crash quicker and more often that version 5.4 did. 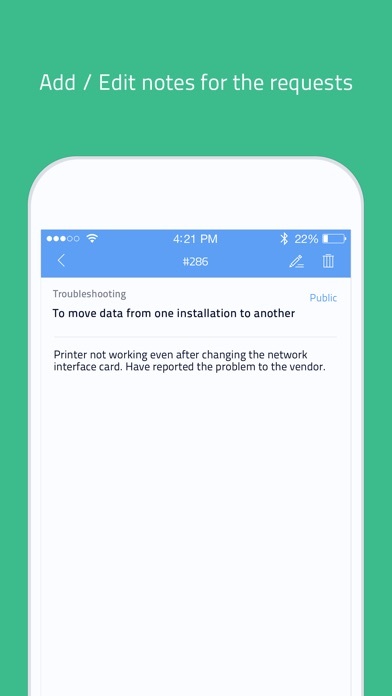 I wish they could fix it as it really is a helpful and good app when it does work. When I first login it seems great. But then when I close the app and try to reopen it, it just gives me an error message that says “error” and displays nothing else. I would love to use this if it actually worked. Love servicedesk+ online, but this app crashes all the time and has other random errors. Would love it if they could get the app to be stable, since it is essential for our field techs, but very unreliable at times. Everything about Servicedesk is great. Started with the free trial. Now we have a 10 tech license. It’s never crashed once for me so far. When adding assets the app unexpectedly quits when saving the assets on my IPhone 7, but works great on my IPad. Everything else seems to work fine. I downloaded and when I put my login info, it asks to send a verification email. It never sends the email. I've waited over an hour. Please fix this bug. I liked the app better before the UI change. It's harder to manipulate tickets with this one than it was. Also since this last update, the badges for a new ticket do not clear out if you mark all items as read using the website without opening the app on your iOS device. This was not the case previously. I love the new look of the UI, but when I reply to a request, the screen doesn't automatically scroll down as a type. So every time a line of text fills up in the message, I have to manually scroll the screen down to see what I'm typing. Other than that little bug, I think the updated version is great. Literally gets worse every time please just stop. Now you have to go into conversations section just to see the reason the work order was put in in the first place. By default it only shows the last message which is always an auto reply from the system.